I moved onto some of my pictures from the lakes - grassmere in hdr using durand (left) and fatal (right) tone mapping using the fantastic (if bizarrely named) Qtpfsgui. 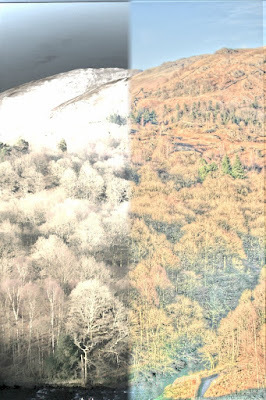 Aligning the images is still a little adhoc - I'm looking for something as great as autostitch, but haven't found it yet. It's a panorama processing application that you throw a bunch of unordererd images at and it stitches impeccably. The following was 11 images, each showing only an individual window, fed in a random order.